Knee arthroscopy. 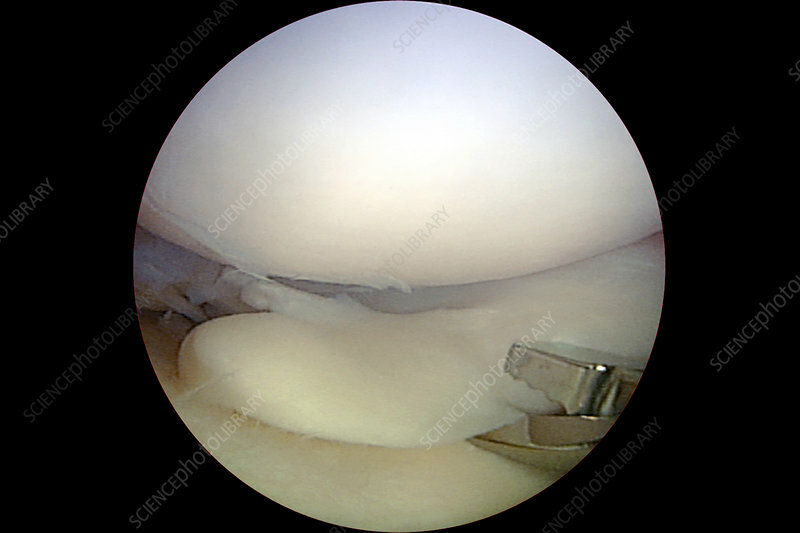 Endoscopic image of the interior of a knee, showing arthroscopic resection (removal) of a damaged meniscus (centre). The menisci are discs of cartilage that protect the ends of the bones from rubbing against each other.